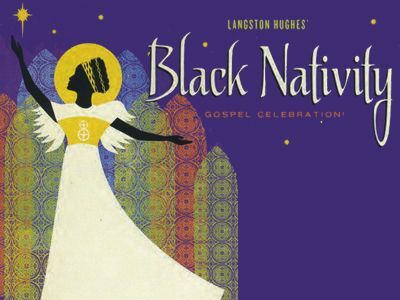 Writer/director Kasi Lemmons (Talk to Me) is developing a feature adaptation of the Broadway musical Black Nativity at Fox Searchlight. If all goes according to plan, Lemmons will do so with a trio of Oscar-nominated talents. Variety reports Samuel L. Jackson, Angela Bassett, and Jennifer Hudson are in talks to join the project. The gospel musical follows a young black teen who spends Christmas with the grandparents he’s never met: “Through his grandfather’s Christmas Eve sermon and a stylized, dream-sequence retelling of the classic Nativity story, he learns about the importance of faith and family.” Jackson and Bassett would play the grandparents, and Variety suggests Jackson will “likely play multiple characters during the Nativity sequence.” Hudson is making a deal for the role of the single mother who sends the boy to the grandparents. Hit the jump for a clip from a recent performance of the Langston Hughes musical. This is an exciting project for many reasons, and it’s encouraging that the adaptation is housed at Fox Searchlight, who always finds an audience for quality fare. Jackson and Bassett have aged perfectly into these roles, and you really can’t go wrong with Samuel L. Jackson playing multiple roles. Let’s keep an eye on this one.